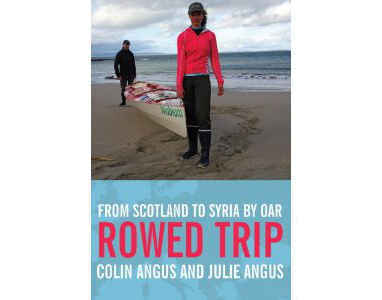 Join bestselling authors Colin Angus and Julie Angus for their newest show, ROWED TRIP. Part film, part drama and all humour, it will delight not only the adventurous but anyone who has discovered the delights and challenges of travelling with a spouse. Using two rowboats, Colin and Julie voyage 7,200 km from the northern tip of Scotland to Aleppo, Syria via an interconnected route that included British canals, the English Channel, the Rhine, the Danube, the Black Sea and inland stretches such as the worryingly named “Death Canal.” Over the course of seven months the couple row through thirteen countries and explore their ancestral homelands. *Door tickets cash only please. Students and faculty bring ID to event. Event sponsored by Dr. Gregory Davies. Read more about ROWED TRIP live show.